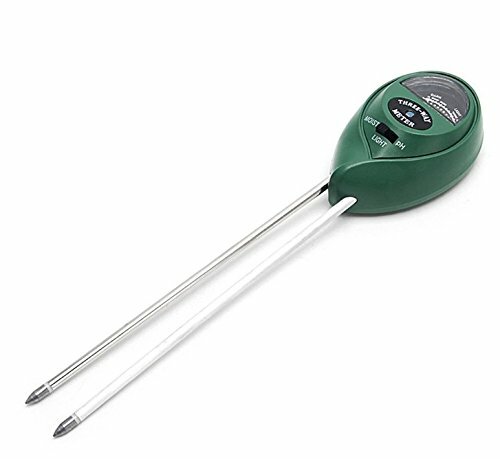 View More In Soil Test Kits. Note:This product only test soil ,it is not suit for soil on dry flour, pebbles, organic wood, sawdust, etc. 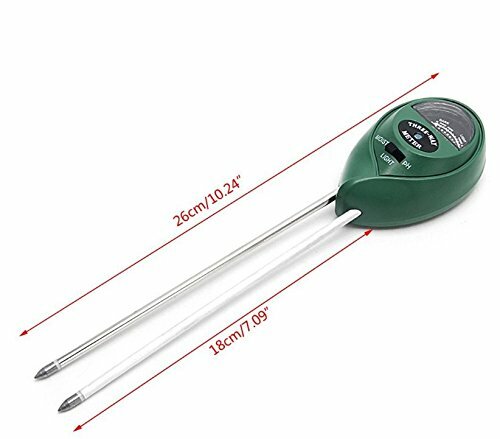 Only put the two prongs into the soil,it has no effect and will not move. Ideal and necessary tool for gardeners, vegetable and fruit growers, and all those who plant trees and grass. For outdoor & indoor plants, gardens & grass lawn. 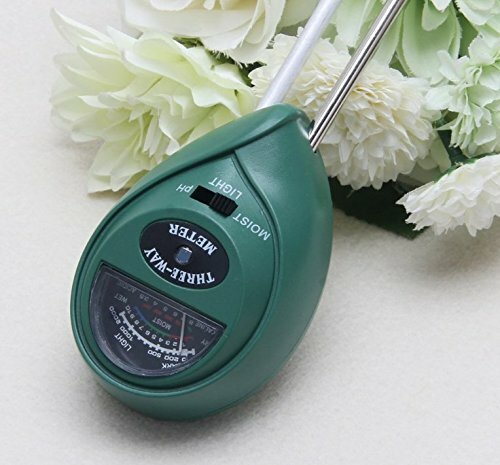 This item is a perfect tool to test the soil conditions ( Moisture/Light/PH) of fruits, flowers, vegetables, shrubs, etc. with high accuracy and easy operation. You can take good care of your plants. 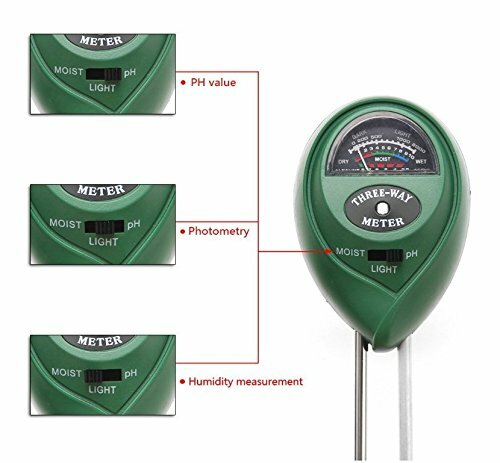 Take the guess work out of your daily garden watering light and moisture. Save water, energy and keep your plants, lawn, flower in top condition. 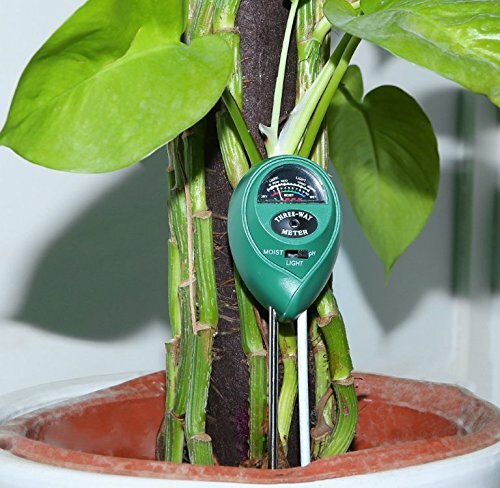 Measures moisture at root level. No battery required, simple and convenient to use. 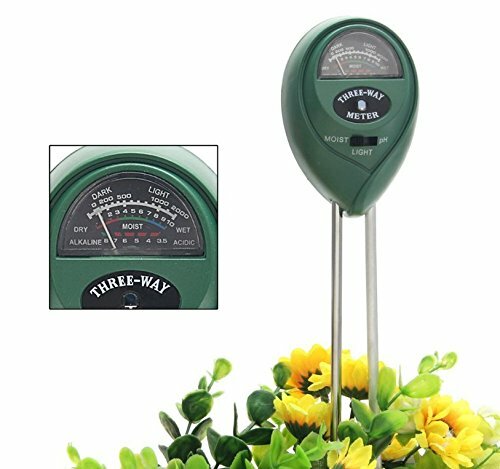 Simply insert the meter into the soil, switch to the setting you want to measure and read the scale. If you have any questions about this product by UChic, contact us by completing and submitting the form below. If you are looking for a specif part number, please include it with your message.